On January 30, 2013 I asked my Dad what he wanted for his birthday which was on February 9th. I should have known that his response was going to catch me by surprise. He blurted out, “I just want the birthday,” and added a big laugh. His thoughts were on material things, his continued physical existence, but they weren’t on material things like underwear, candy or shave cream. He just wanted to be alive for the party. He lived to enjoy his 90th and 91st birthdays. We celebrated Dad’s 90th at my brother David’s house. Sons, daughters-in-law, grandchildren and great-grandchildren were present. Dad’s lady friend was also in attendance with her daughter and son-in-law. Rozella’s birthday was also February 9th, but she was four years older than Dad. I recall that in the sixties Dad would buy Mom a gift on our birthdays to honor her absolutely essential role in our celebrations. 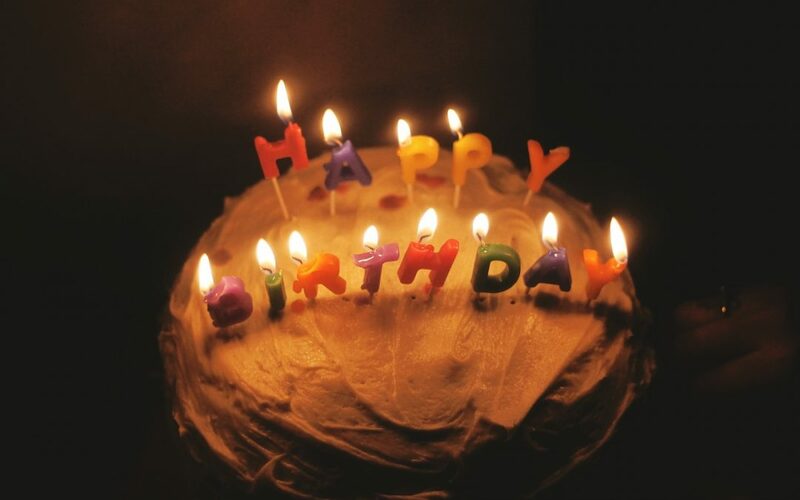 The birthday that I remember as the most painful one was my 16th. We had recently moved to Las Vegas where Nellis Air Force Base is located, the home of the Thunderbirds. 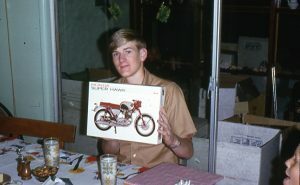 I wanted a motorcycle, and I got one, but it was a plastic model that I had to put together. I felt tricked, but I never shared my emotions with anyone. I simply swallowed and carried on as if nothing affected me as the photo shows. Dad said, “I’ve fixed up too many pretty girls to buy you a real motorcycle.” Hidden in that offensive model motorcycle was Dad’s love for me to deny me something I thought I wanted and he thought was too dangerous. Time revealed that I didn’t want it bad enough because I never saved my money to one buy even when I was no longer living under Dad’s roof. I’ve ridden on them and I’ve driven a few, but I’ve never bought one. Dad’s last birthday, the 91st, was celebrated at the Green Oaks Nursing and Rehabilitation Center. Soon afterwards he was released to return to his apartment where he died April 14, 2014. 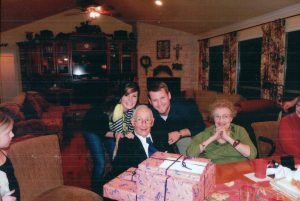 In spite of my experience on my 16th birthday, Mom and Dad attempted to honor each one of us and we learned to reciprocate their love by honoring them on their birthdays.